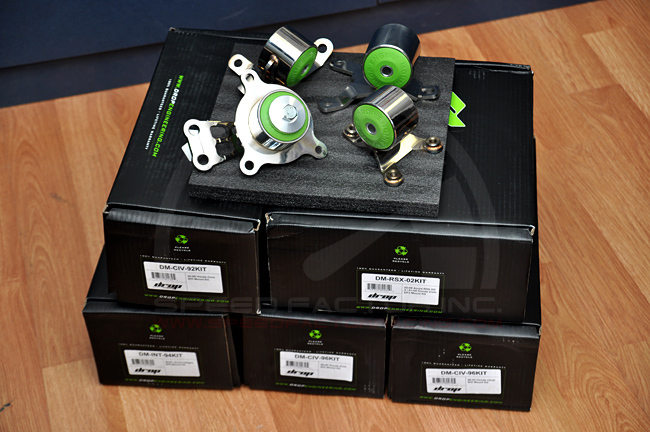 We now carry Drop Engineering motor mounts. Drop Engineering mounts are available for most performance vehicles and come with a LIFETIME WARRANTY! Drop Engineering engine mounts are painstakingly assembled from 304 Stainless Steel, the industry standard in high quality stainless steel. All Drop Engineering mounts come equipped with rigid polyurethane bushings, tested at a durometer of 75, to more efficiently transfer your vehicles power to the wheels. 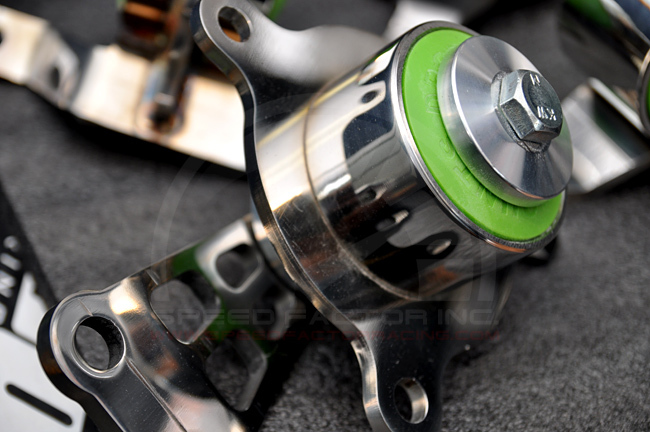 When you accelerate, there is a noticeable lag created with stock OEM mounts due to movement of the motor. Vehicles outfitted with Drop Engineering engine mounts will see quicker engine response and easier shifting even at a higher RPM. Each Drop Engineering mount is CNC plasma cut to ensure the best level of precision available. These plasma cut parts are then assembled by hand TIG welding with the utmost attention to detail and accuracy. A Drop Engineering engine mount is an ideal upgrade for any driver looking for improved performance, but is also highly recommended when installing a new motor as a replacement for worn out factory mounts. 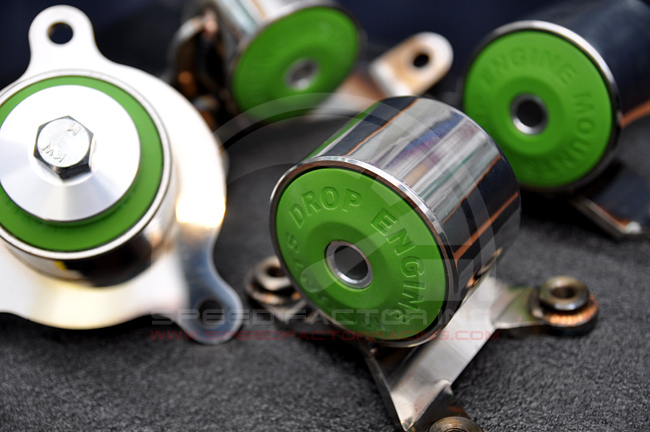 Drop engine mounts are composed of high quality stainless steel and won’t deteriorate over time like OEM mounts.